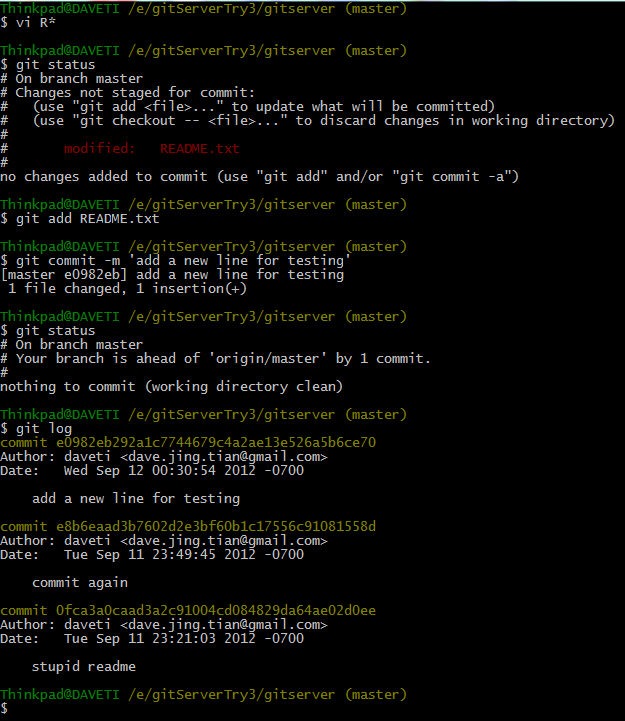 This post summaries the procedure for setting up a git server for small team development using private code repository. The trigger is that github does NOT provide free private repository (except student/teacher account) and we are not ready to open the code to the public. 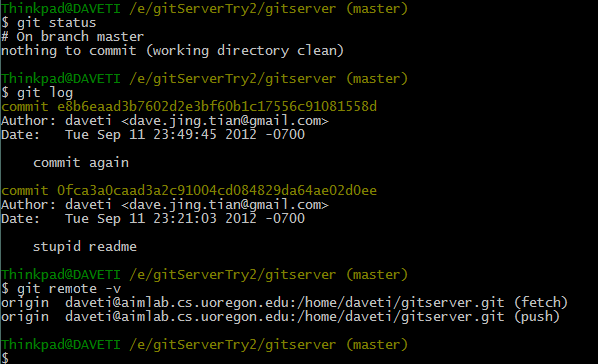 Then the most convenient way for us is using ssh to set up a git server. Once the server is ready, either IDEs, like NetBeans/Eclipse or stupid git bash shell could be used for code checking in/out. with only a few team members having the access! drwx—— 7 daveti daveti 4096 Sep 11 22:55 .
drwxr-xr-x 24 root root 4096 Aug 27 12:15 .. This entry was posted in IDE_Make and tagged Eclipse, git, github, gitserver, netbeans, ssh. Bookmark the permalink.